Like a brake light for your bike. 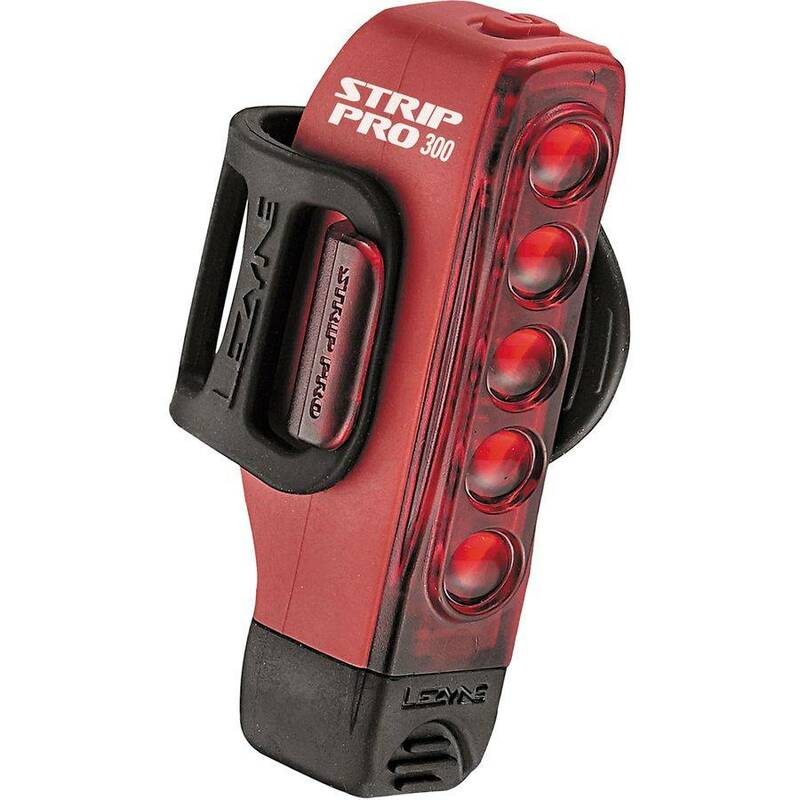 Lezyne's Strip Drive Pro Tail Light takes some pressure off of your reflective clothing by taking on the responsibility of helping you stay visible to motorists on dimly lit roads. The Strip Drive Pro has a higher lumen output than most tail lights, and it emits them with three steady and six flashing modes. It also includes a daytime option for morning commutes or training rides at dusk when you want to make sure you're not blending into the scenery. The light attaches easily to your seatpost with an included strap mount, and its precise assembly means it won't have any problems working through a rain shower. When the rechargeable batteries are running low, just use the included USB stick in the light itself to give it a boost—no need to try to remember where you put the charging cord.